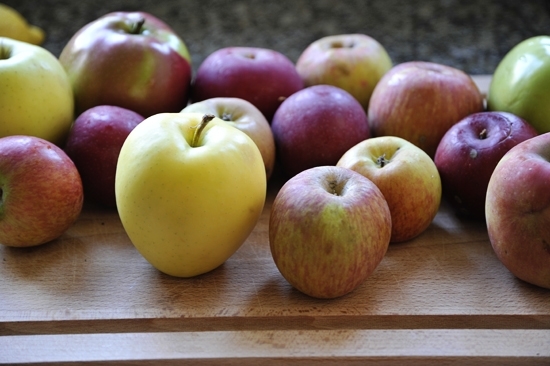 As you may recall, I went apple picking with an old college friend not too long ago. It was an attempt to re-live those cool, crisp New England days. But seeing as it was 104 degrees, and we were sweaty, I don’t think it was really a walk down memory lane. But we got apples. And I made a pie. 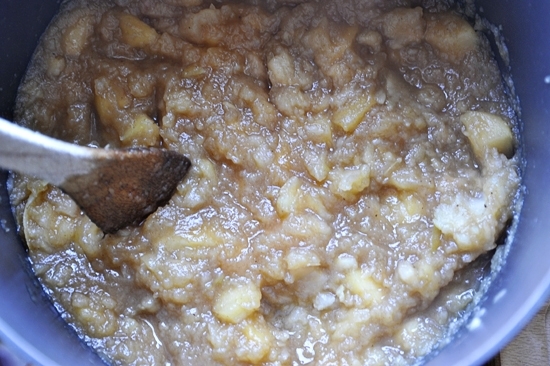 And then I made this: Chunky Apple Sauce. You really aught to make it as soon as possible. It’s a little sweet, and a little tangy, and a little chunky. Just the way life should be. I have not had apple sauce until this moment. 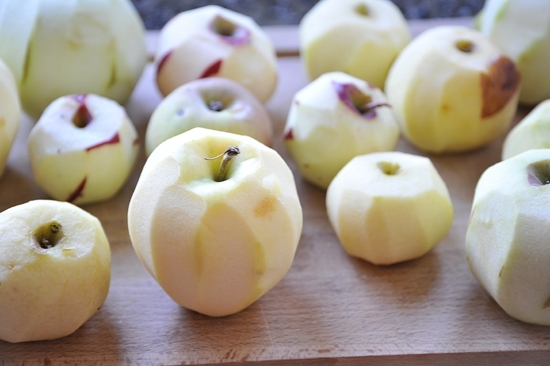 You’ll want to start with a variety of apples. 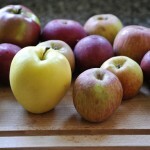 Some that are going to turn soft quickly, like Macintosh and Golden Delicious, and some that are going to hold their shape, like Pink Lady, and Rome Beauty. 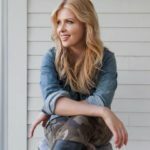 For a more thorough list, take a look at my pie post. Peel them all. And if you’re feeling feisty, keep some slivers of skin on. Because what is life without a little skin and texture? Then, quarter them and cut out their cores. Then cut their quarters in half. Do that for all of them until you have a nice heaping pile. 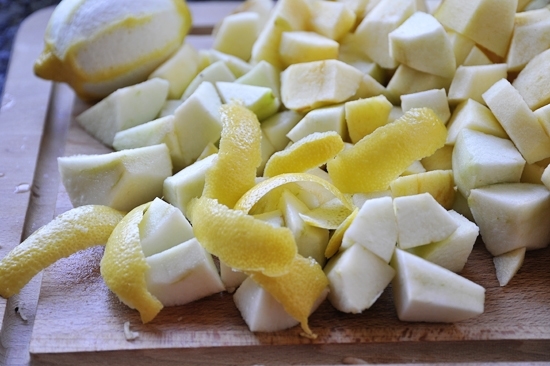 Remove the peel of a whole lemon with a vegetable peeler and add it to the pile. 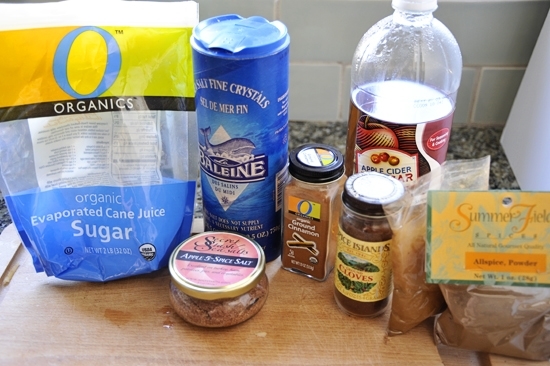 Then toss it into a pot and add 1 cup of water and give it a stir. Let the water come up to a simmer on low heat while you collect the rest of the ingredients. Raw sugar (regular will work just fine), Apple 5 Spice Salt from my friend at Secret Stash Salts (sea salt will work just fine but I was feeling adventurous), cinnamon, cloves, allspice, nutmeg and apple cider vinegar. 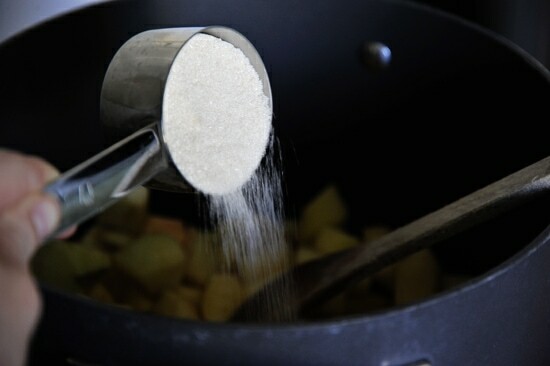 Add the sugar and give it a nice stir. Then add the rest of the ingredients. Let it simmer on low for 20 minutes so that some of the water evaporates. Then cover it and continue to cook for another 70 minutes on the lowest temperature. You want it to steam more than anything else, and stir it once in a while so it doesn’t stick to the bottom of the pot. At the very end, if there are any very large pieces you can break them apart with a wooden spoon. And there you have it! Put it all in jars and let it come to room temperature. 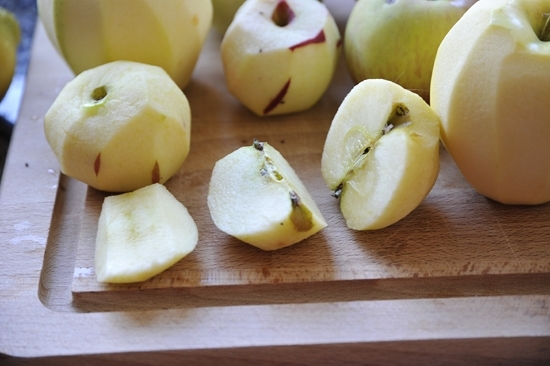 Then you can store it in the fridge for 3-4 weeks or freeze it for about a year. You really aught to try this as soon as possible. I sat on the floor and ate it with a spoon. 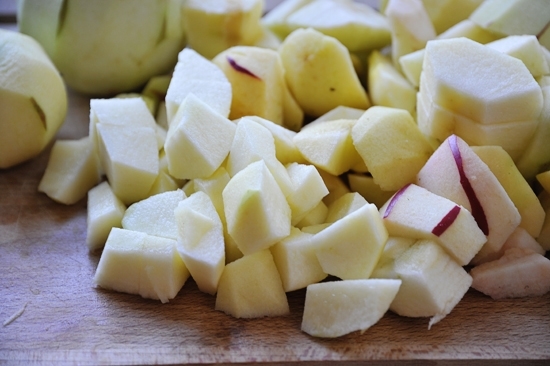 Place the apples in a large saucepan with 1 cup of water. Add the remaining ingredients and stir. 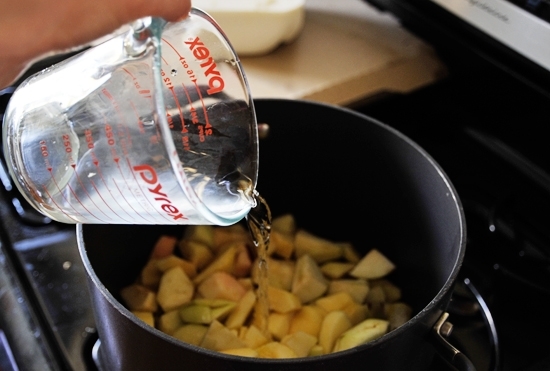 Bring the water to a simmer and stir again and reduce the heat to its lowest setting. Let cook and steam slowly for 20 minutes, stirring occasionally so the bottom doesn't stick. 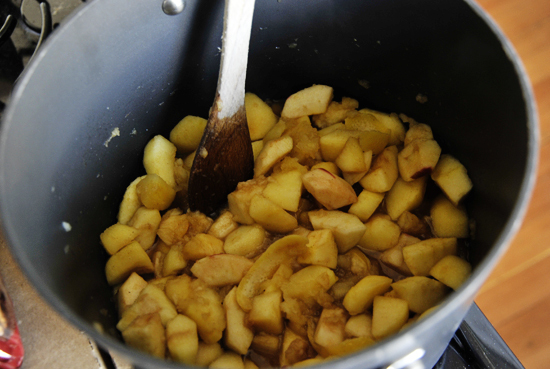 Cover the sauce pan with a lid and cook the apples for another 70 minutes, stirring every 10-15 minutes. 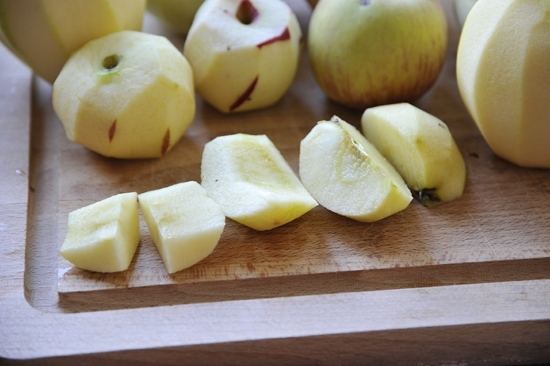 In the last 10 minutes, use a wooden spoon to break up the large chunks of apple that haven't broken apart. 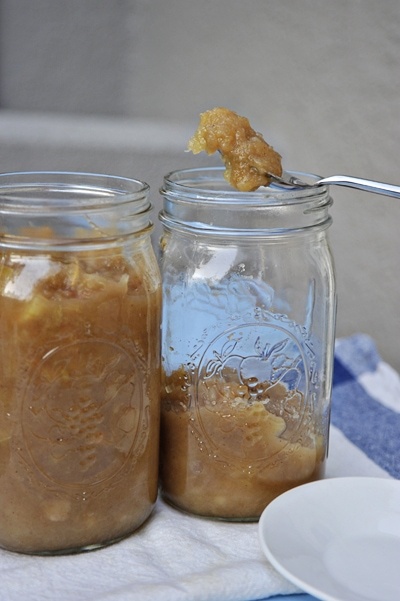 Serve slightly warm or cool to room temperature and store in the refrigerator in a jar. It will also store in the refrigerator for 3-4 weeks or will also store well in the freezer for a year. I just made this and you're right, it IS amazing. Everyone should really make it asap! This reminds me a lot of my Grandmother's recipe. I'll have to try it. 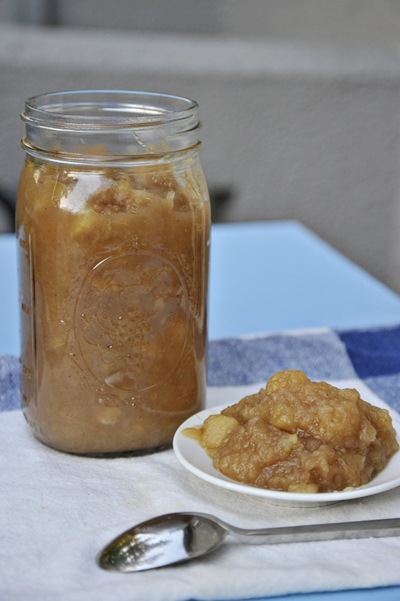 I adore apple sauce! I'm going to make this very soon. There's a Jewish tradition of serving it with Latkes over the holidays which I've always loved. I'm going to have to try this recipe since it's coming up. I've heard they serve jelly donuts too! That's so fun. I want to put a Latke recipe on here soon. You're right life should be chunky! Good idea to add the lemon peel! And the cider vinegar. I like the "Tang." Yay for glass-o-holics : ) My spelling is very mysterious… I won't tell you whether it's planned or not. I also won't tell you that I'm a bad speller. 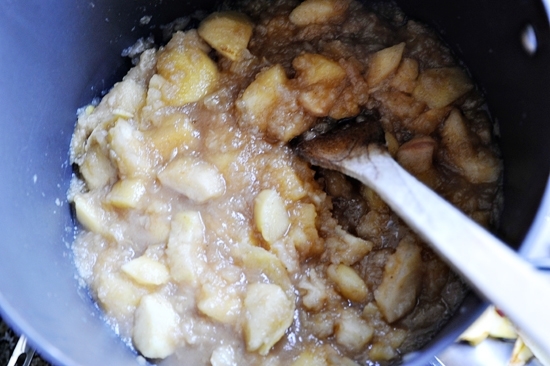 My favorit is chunky,chunky and lots of cinnamon without sugar! This would have been lovely without sugar too. My great aunt Gray would have preferred it that way.